Part 2 of Danish Electro - a new series of compilations that present the enormous activity and creativity on the contemporary Danish electronic music underground scene. In the coming years the series will be presenting a wide spectrum of genres spread over a long row of releases. 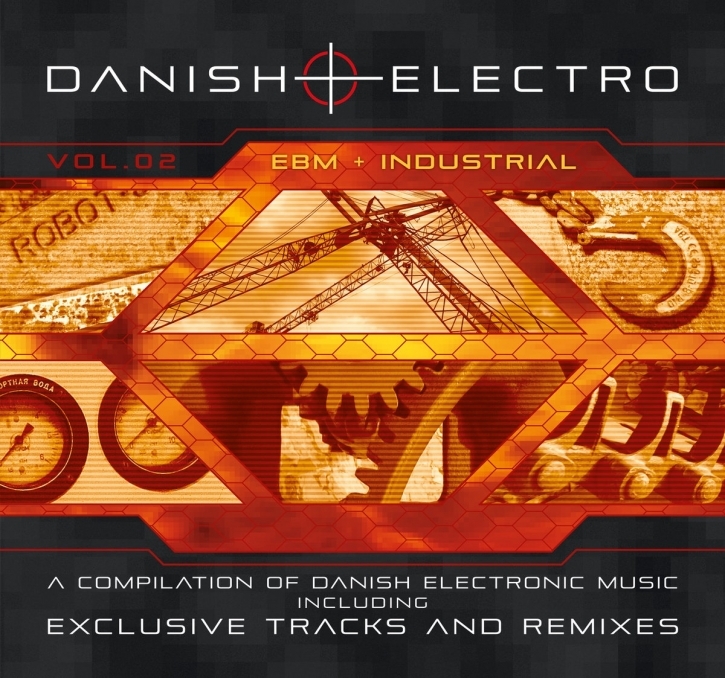 Danish Electro Vol.02 has just arrived and focuses on club orientated Industrial and EBM with 17 very talented artists  13 tracks are either EXCLUSIVE songs or EXCLUSIVE Remixes! Energetic tunes and stomping beats are presented by artists such as Leæther Strip, Klutæ, Negant, ManMindMachine, Mirland/Larsen, Orpin Own and many more. All artists stand on the shoulders of genre icons such as Front 242, Nitzer Ebb, Front Line Assembly, Skinny Puppy, D.A.F. a.o.